Located at a distance of 38 kilometers from Kausani, Bageshwar is also center of administration and new district headquarters of Danapur. 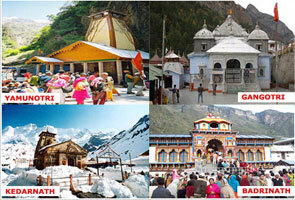 There is popular temple names Bagnath at this place and due to which this place is named as Bageshwar. There is also a reason to name this place as Bageshwar , this is because it is believed that the lord shiva used to wander here in the incarnation of Tiger (Bagh) because of which several worshippers visit this place every year. 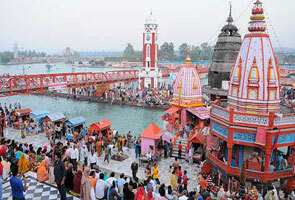 Saryu and Gomti rivers unite here at Bageshwar and every January of the year Uttarayani fair is also set in Bageshwar. Located at a distance of 16 kilometers Baijnath is one of the popular temple towns in India. This town is in Garuda Valley on Gomti river’s banks. There is an Idol of mata Parvati made of black stone at primary entrance of Baijnath temple which is a major attraction for tourist. You can enjoy feeding beautiful fishes with channa at this place and fishing is strongly banned at this place. At a distance of 8 km from Baijnath, A Kali temple is situated i.e. Kot-ki-mai. At a distance of 35 kms from Almora, lord shiva’s temple named Someshwar is situated. King Som Chand had constructed this religious temple who was Chand Dynasty’s founder. Someshwar temple is named after the name of king Som chand and Maheshwar. People have high belief on religious value of Someshwar temple. Binsar is 48 kilometers away from Kausani and is famous for its highly visited Binsar Wildlife Sanctuary where thousands of tourists visit every year. People often visit this place to worship at Lord Shiva’s temple- Bineshwar at Binsar. Raja Kalyan had constructed this temple who was king of Chand Dynasty. This temple is built above sea level floating at 2,412 meters elevation. Being located in between dense forest, Binsar is a beautiful and calm place with pleasant environment and soothing environment. You can enjoy watching famous uttarakhand peaks such as Nanda Devi, kedarnath, Panchcahuli, Chaukhamba,Nanda Kot, and Kedarnath etc. At Almora district, Ranikhet hill station is located in Uttarakhand which is a combination of beauty and pleasure. Naga Regiment and Kumaon regiment of Indian Army are situated in Ranikhet. Astonishing view of snow covering Himalayan range can be observed from Ranikhet. Meaning of Ranikhet is quite simple i.e. Queen’s field or Queens Meadow. A diverse range of flora as well as fauna can be found here at Ranikhet. Located 76 kilometers away from Kausani, Ranikhet is set above sea level at 1,869 meters altitude. 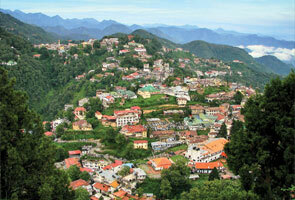 Located 119 kilometers away from Kausani, Nainital is set above sea level at 1,938 meters elevation. There is a lake surrounded by dense alpine trees which is in eye shape and located at the centre of mountains, due to which this place is named as Nainital. Located at a distance of 47 Kilometers from Kausani, Almora is an astonishing beauty in itself with glorious prettiness, eye-catching Himalayan view, ancient tradition, heritage, rich wildlife, handcraft beauty and lip smacking cuisine. 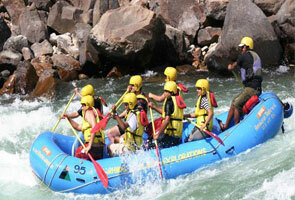 Wide numbers of tourists are attracted at this place for its scenic beauty and soothing landscape view. Gwaldam, Gangolihat, Krishna gari, Patal Bhuvaneshwar, Kote Mai Mandir, Badhan Gari Mandir, Nar Singh Mandir, Angayaari Mandir, Laubanj Village Tall Camp.